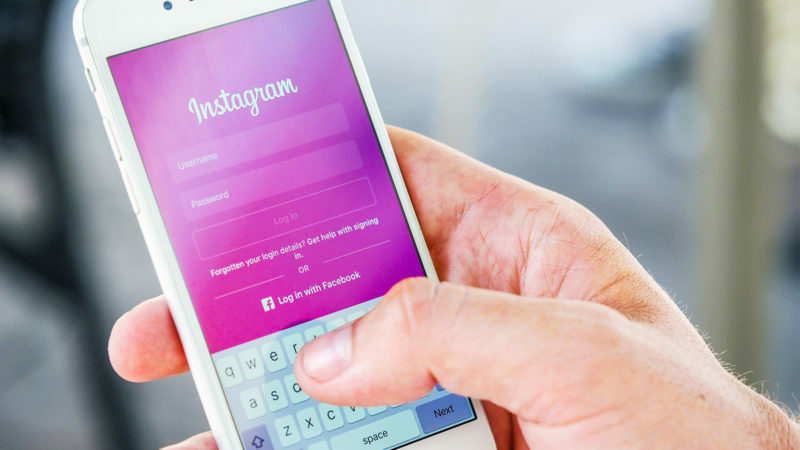 Instagram is one of the best lifestyle-oriented platforms to use to connect with your audience. With bright images and captivating captions, it provides excellent opportunities for sharing the stories of your life or brand. When used effectively, Instagram Stories can be a fantastic addition to your online presence. Here are some tips to get you started. While talking or sharing an image, encourage your audience to remain engaged with the content you’re sharing. Provide a clear instruction to “tap” to continue on to the next screen or “hold” to read longer text or “turn up the volume.” Remember to start your story with enough of a hook that they’ll want to be actively listening beyond a few seconds. The next time you have a list of ideas to share with your audience, spread it out across multiple story slides. It’s an easy way to distribute content for longer-lasting stories but has the added benefit of keeping the text short enough for your readers to digest. 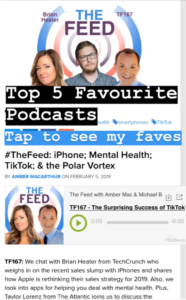 For example, list your 5 favourite podcasts one slide at a time – starting with #TheFeed as number one, of course. As a bonus, sum up the list in a final slide so friends can screenshot to reference the full list at a later date. You will definitely see a worthwhile return on your time investment if you provide fun and interactive images that others can save and share. Create a colourful template with your favourite design software, inviting your audience to screenshot so they can edit and post themselves – tagging you in their responses. Fun options for templates include “this or that” polls where users can circle their preferences, or throw out a prompt like “Show me your Monday attitude” in which users respond with their favourite GIFs. 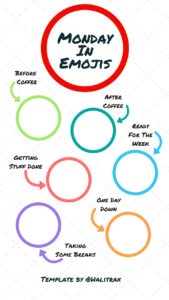 What is your favourite section in my weekly email newsletter? What questions do you have about my recent product review? Especially when it comes to a controversial topic, people love to give their opinion and see how it stacks up against what others have to say. Conducting a simple, 2-question poll can garner some interesting insight into your audience. Selecting quick opposites like “Apple or Android” or “Chocolate or Vanilla” or “Early mornings vs Late nights” can spark a great debate and open the door for further discussion. Have you tried any of these tricks? Tag me on Instagram and let me know which tip you’ve found works the best for your audience.